On this page you will find the names of conservation organizations and links to educational sites to learn more about what you can do to help the ocean and its inhabitants. If you have information about an organization that you support, or a link that may educate our viewers, please send us an email and tell us about it at tanya@blueelementsimaging.com. We love to hear about what people (especially kids!) are doing all over the world to support ocean conservation! Ocean First Institute helps future generations put the ocean first by exposing them to its wonders and igniting their passion for impactful, hands-on marine conservation. Tanya Houppermans is a member of the Board of Advisors for Ocean First Institute. The Oceans 360 project was launched with a simple goal in mind - increase peoples’s awareness of the importance of the world’s oceans. Oceans 360 uses 180-degree and 360-degree video to allow the public to experience the beauty of our oceans via virtual reality goggles in order to inspire them to want to protect the underwater world. 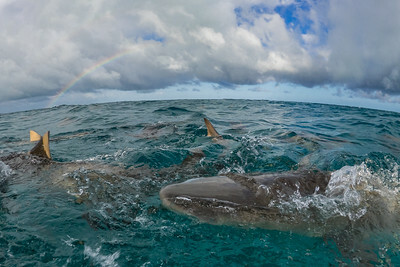 The Shark Research Institute (SRI), a multi-disciplinary nonprofit 501(c)(3) scientific research organization, was created to sponsor and conduct research on sharks and promote their conservation. Save the Sharks is an ocean minded, conservation based, small non-profit working to better protect the status of the oceans through one positive shark interaction at a time. 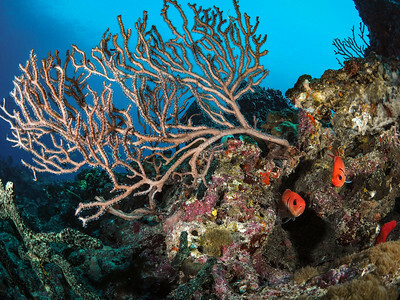 - Allison, a student from Tampa, Florida, found this link below that is an outstanding resource for information about coral reefs! Thanks for sharing and for caring about our oceans, Allison!